Developed in the Soviet Union in the 1960s, the Su-24 tactical bomber has become one of the most successful aircraft in its class. Featuring delta wings and auxiliary lift engines meant to improve its field performance, the first prototype turned out to be more of a liability than an asset and the aircraft was redesigned to have variable geometry wings. 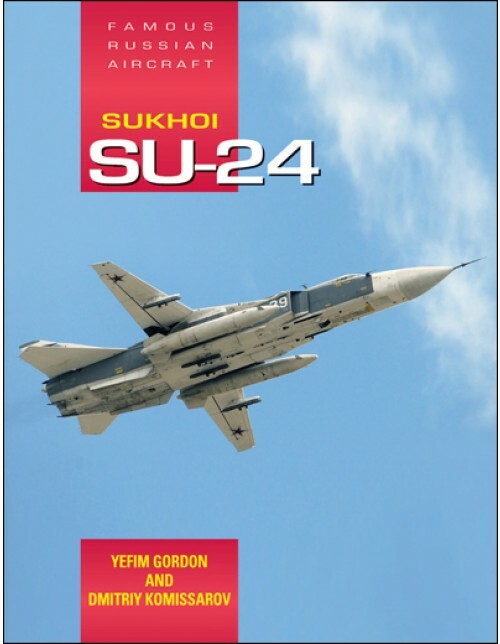 The Su-24 had its baptism of fire in the Afghan War and was also exported to Iraq, Iran, Algeria, Libya and Syria, seeing action in some of these countries. At home, Russian Air Force Su-24s were heavily involved in the first and second Chechen campaigns and the type has undergone a mid-life update allowing it to carry precision-guided munitions, and is still going strong. Illustrated with over 750 photographs, many previously unpublished, as well as line drawings, color side views, insignia, unit badges and nose art this latest addition to the Famous Russian Aircraft series will be of interest to aviation enthusiasts and scale modelers alike. "There's a lot to tell, and of the several books that have tackled the subject before, this new one is easily the most thorough, which is no wonder if you consider who wrote and who publishes it. 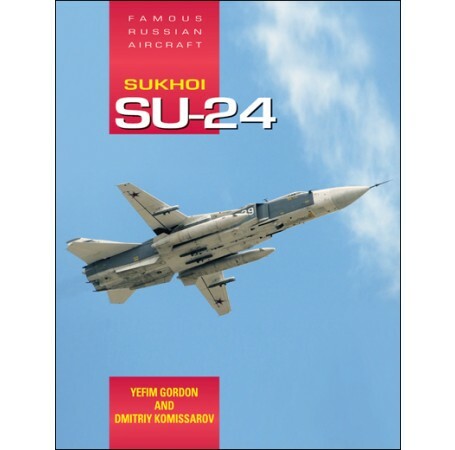 Author Gordon is pretty much still the gold standard for books available in the West about Russian aircraft, and whoever joins him on any one project is likewise a reliable guide."